Want access to South Africa’s brightest minds? 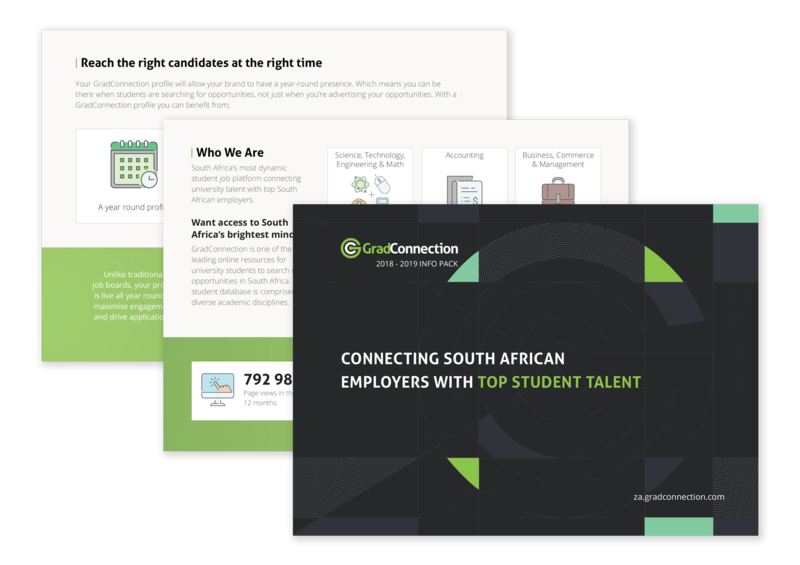 GradConnection is South Africa's most dynamic student job platform connecting university talent with top South African employers. We are one of the leading online resources for university students to search career opportunity in South Africa. Leverage our SEO expertise to generate candidates from google searches. Our page has over 20,000 likes and grows daily. We send Promoted posts for our clients in peak seasons. Our site is fully mobile optimized, which means students are able to search and apply jobs on our sites via mobile devices. We have relationships with all universities and colleges around South Africa and work with careers services to help students find their first graduate and internship jobs. Our database consists of over 60,000 job-seeking students and we send out automatic alerts for all of our clients’ campaigns. Promoting your positions through GradConnection will connect you with our large member database. If your position fits the profile of a student, they will receive an emailing encouraging them to apply! GradConnection allows you to either place short term (30 days) ads to cover you for one off roles or create an annual profile to promote larger programs so that students can discover your organization all year round. 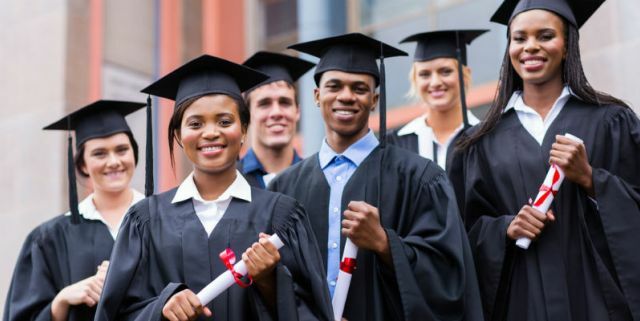 When advertising with GradConnection you are able to target you are able to target your ad to students by their discipline of study, university, graduation date and other criteria. As a result you'll receive a higher relevance and quality of applicants. use GradConnection to find and apply to graduate and internship opportunities. Like looking at stats? Download our information pack. Includes our annual package pricing.